Saints are the superheroes of Christianity, possessed of extraordinary power and will, thrown against fate, rising to the occasion in the most dramatic and inspiring ways. Sometimes they prevail, sometimes they come to a tragic end—but always they change the world they live in for the better. 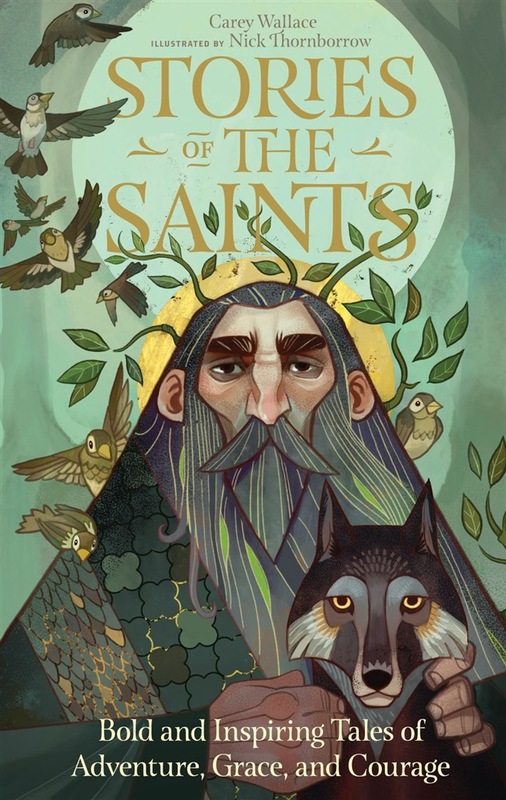 In this freshly told and boldly illustrated new book of saints, here are the stories of the greatest saints, from Augustine to Mother Teresa (officially canonized as St. Teresa of Calcutta). Meet Joan of Arc, the teenager whose faith inspired her to lead an army when the king’s courage failed. Francis of Assisi, whose gentleness tamed a man-eating wolf. Christopher, whose medal is often worn by travelers. Valentine, a bishop in the time of ancient Rome, who spoke so often of Christ’s love that his saint’s day, February 14, has been associated with courtly love since the Middle Ages. St. Thomas Aquinas, the great teacher. Peter Claver, who cared for hundreds of thousands of people on slave ships after their voyage as captives. Bernadette, whose vision of Mary instructed her to dig the spring that became the healing waters of Lourdes. Each tale is more vivid than the last; also included in each entry are the saint’s dates, location, emblems, and patronage. Taken together, it creates a rich and entertaining history of the church. 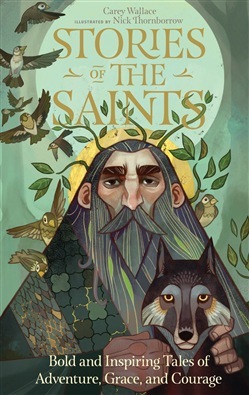 Acquista Stories of the Saints in Epub: dopo aver letto l’ebook Stories of the Saints di Carey Wallace ti invitiamo a lasciarci una Recensione qui sotto: sarà utile agli utenti che non abbiano ancora letto questo libro e che vogliano avere delle opinioni altrui. L’opinione su di un libro è molto soggettiva e per questo leggere eventuali recensioni negative non ci dovrà frenare dall’acquisto, anzi dovrà spingerci ad acquistare il libro in fretta per poter dire la nostra ed eventualmente smentire quanto commentato da altri, contribuendo ad arricchire più possibile i commenti e dare sempre più spunti di confronto al pubblico online.